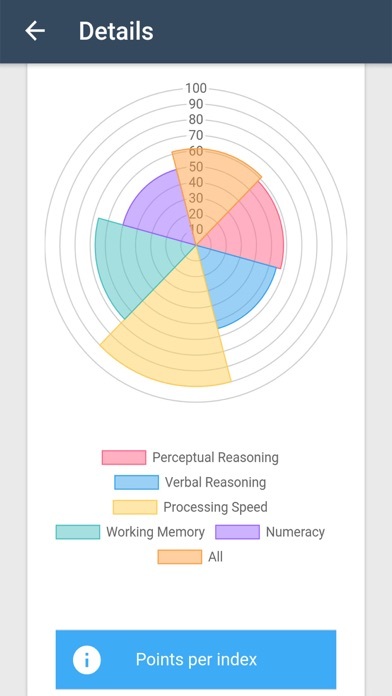 - IQ Test completely in English and free to play (more languages coming soon) - WIth Multiplayer Party Mode and quiz elements - Scientifically developed by students of the University of Rostock (Germany) - With excercise mode: Play all quiz tasks with solutions and explanations again - Compare your result with friends - Many more great functions for the IQ Test are still planned --------------------------------------------------------------- Why should you take part of this IQ Test? --------------------------------------------------------------- Influenced by WAIS-IV (Wechsler Intelligence Test for Adults) and research by students of the University of Rostock, the IQ Test includes the following tasks: - Perceptive reasoning - Processing speed - working memory - speech understanding - Number understanding These categories are queried in the IQ Test in various categories, including sample groups, dice test, remember pictures, number series, matrix test, estimate, order numbers and more! 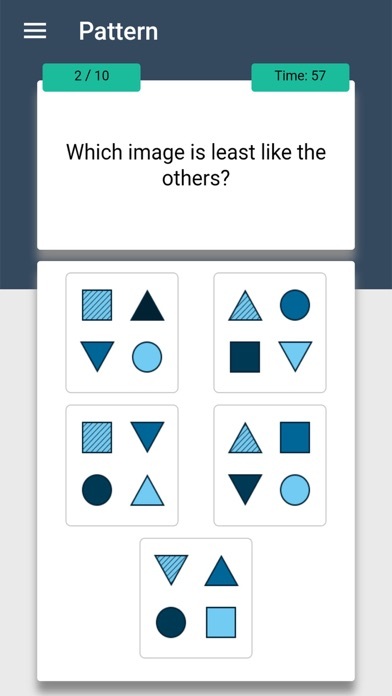 Start your IQ Test now and compare with your friends! 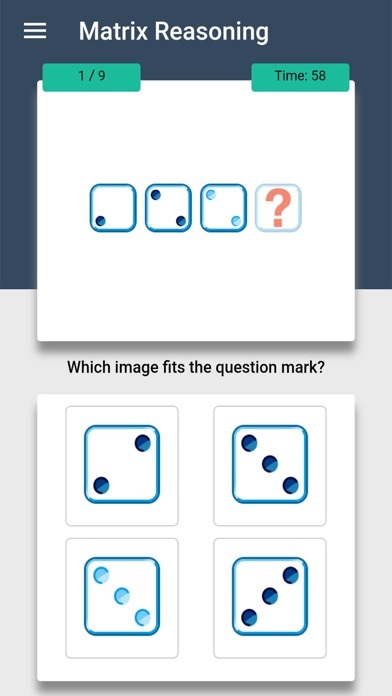 The first quiz has around 100 tasks, so take some time and start your IQ Test today! The test is free, but you can get extra features with our statistics or explanations package. --------------------------------------------------------------- What is an IQ Test? --------------------------------------------------------------- An IQ test is used to show how "intelligent" you are in relation to other people. But what is intelligence? This is not a defined term and so intelligence is just what an IQ test measures. 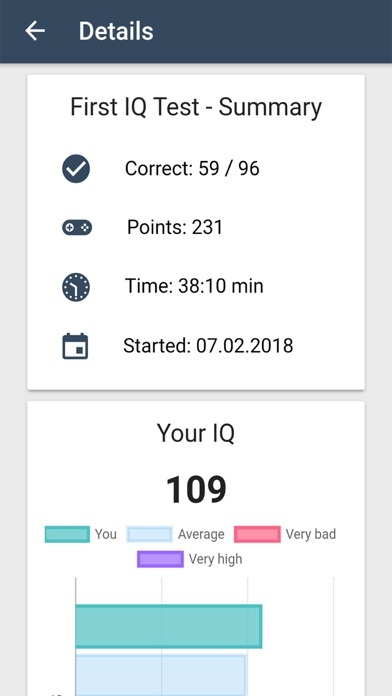 Therefore, different IQ tests can not be compared, just the same test, and it simply tells you if you have solved the tasks better (over IQ 100) or worse (under IQ 100) than the average. So do not take the IQ that seriously, just test how you cut off compared to others!